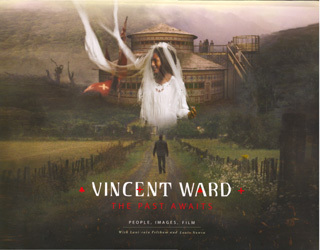 Vincent Ward is one of New Zealand's seminal filmmakers, winning awards both at home and internationally for the compelling and original vision he brings to the screen. Ward's strong visual sensibility has always been recognised as one of the defining features of his films and it is this ability to convey powerful emotional experience through his image-making that is the genesis for The Past Awaits. Beginning with his most recent film, Rain of the Children, which builds on his groundbreaking documentary/drama In Spring One Plants Alone, the book collects together poignant images from all of his feature films, including Vigil, The Navigator: A Medieval Odyssey, Map of the Human Heart, What Dreams May Come and River Queen, as well as earlier films and others developed but never made. Interwoven with the images in The Past Awaits is also a fascinating part-memoir in which he explains why these films were made, and examines the themes that interest and motivate him. "This book is about the search to stay whole through making films, of being inspired by the people I have worked with and made films about, and how by seeing these lives it is perhaps easier to see more clearly into my own." As of July 2016, this is now OOP and even Vincent no longer has copies to sell.